...Let me know how I can befriend so I have a shot at being a beneficiary. I'll even pay for the policy. That's why I ride on the MMP's. I limit the use of driving my car nowadays here. Too many people - Too much traffic - too many people have limited eyesight and hearing. You want to ride a bike , go for it. You have every right to your lane ane three feet clearance. Let me know how I can befriend so I have a shot at being a beneficiary. I'll even pay for the policy. Do you ride a golf cart or automobile? 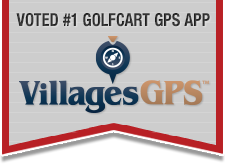 More people have died in golf carts than in any other mode of transport in The Villages except automobiles. The only walker killed in The Villages was killed by a golf cart. Over 20 people have died in golf cart accidents over the last twelve years. If you want to be a beneficiary to a life insurance policy go for a golf cart or car insurance plan as your chances are better for cashing in. Perceived danger is not the same thing as actual danger. Last edited by Happydaz; 03-09-2019 at 10:15 PM. Stay off of the cart paths on all the golf courses. Only individuals currently checked in with the starter and playing are permitted there. Walker was not walking on sidewalk provided, they were walking three abreast with one in street and walking with traffic. Last edited by Topspinmo; 03-12-2019 at 05:12 PM. Nice try - there is a formal name for your statistical analogy. It is called Simpson's Paradox. [QUOTE=villagetinker;1631324]I like your attitude and the way you state you ride. When I am driving I try and give the bicyclists as much room as I can, and as you stated some drivers do not like bicyclists. The one thing you did not state but implied is that a bike rider must obey all of the same traffic laws as a car, stop at stop signs, yield at yield signs, etc. I have had to dodge way too many bike riders that enter roundabouts when I am already in the round about, or blow a stop sign in front of me, fortunately my reactions are still fairly good. Sorry, left out a couple of items that need clarity. 1. Yes, obey all traffic standard laws. Stop signs, be courteous and drive safely, give arm signals always. 2. When on a MMP, we do this: Watch the rear view mirror, when a cart is approaching from behind, IF IT IS SAFE AND CLEAR, we slow down, we move over to the edge of pavement, we stop pedaling and we wave with left arm for cart to proceed and pass. 3. In this case, be totally aware of any approaching/passing cart going in your direction of travel, from the rear, who will PASS YOU WHEN THERE IS AN INCOMING CART approaching. Look for an escape route when this happens. 4. If the two carts do collide, you do not want one of them on YOUR handlebars. BE careful, be safe, not sorry. 5. Many CART persons are courteous, a few are not, so BE ALERT AND BE AWARE. I drive a car, drive a golf cart and ride a bike so see all sides. Typical of my view of most things. The best accident is the one that doesn't happen. Almost all accidents can be avoided so even the term accident is incorrect. Riding a bike. If, you are hit by a car or a golf cart, the bike and the rider will get the worse end of the encounter. Why people ride without lights, without helmets, escapes me. The best of them are far less expensive than your head. Signals? I wonder. It is rare indeed to see a driver use them. We all only see the poor drivers and the stupid things people do. We do not even notice that most drivers are good drivers-MOST OF THE TIME. a bike does not accelerate as quickly as a car or even a golf cart. A tough situation is a stop sign where you are forced to enter traffic on the other side. The person on the bike cannot stop for the stop sign and then speed up on the other side. DO WHAT YOU ARE SUPPOSED TO DO. I've had people trying to be nice stop to let my bike go. Not aware that the car behind them in a hurry to no where is going to go around them and can't or likely won't see the bike. In the end all should THINK. Part of the thought should be IF HE, HOW CAN I AVOID AN ACCIDENT. If, you have no answer then you should not be doing what you are doing and or how you are doing it.